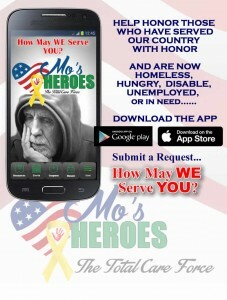 Ms. Danzenia Hardy is a retired veteran and a native of Fayetteville, North Carolina. She enjoys volunteering for the elderly and disabled which enables her to share happiness; encouraging them to live a more rewarding life and to just put a little smile on their faces. Her contributions to the community and her church bring our society into a better tomorrow. It started as an idea; she made it into a reality. 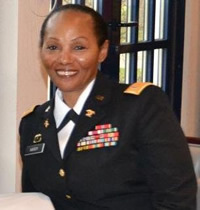 Ms. Hardy entered active duty on 18 January 1984; attended Basic Training at Fort Dix, New Jersey and Advanced Individual Training at Fort Lee, Virginia where she trained in the MOS 76V as a Material Storage and Handling Specialist. In December 1996, she attended Warrant Officer School at Fort Rucker, Alabama where she was commissioned. Since then, she served in a variety of field and staff assignments in Germany, Fort Bragg, North Carolina, Fort Clayton, Panama, Fort Lee, Virginia, and several tours in support of Operation Iraqi Freedom where she received the Bronze Star for meritorious service in a combat zone. She also served as the Deputy Chief of Staff/G-4 and Senior Logistics Warrant Officer for USA NATO Brigade in Germany. She retired from the United States Army on 1 March 2013, as a Chief Warrant Officer Four with 29 years of active duty and awarded the Legion of Merit (LOM) for exceptionally meritorious conduct in the performance of outstanding services and achievement.